The story of Nirma - the consumer products company started by Karsanbhai Patel - is legendary in the portals of Indian business history. It is a remarkable story of an unknown but ambitious entrepreneur who quietly takes on the powerful subsidiary of a large multinational in the highly competitive detergents market, creates an entirely new market segment by introducing millions of new customers to detergents, and transforms the industry in the process. A few years ago, I was reading an Insead case study by Sumantra Ghoshal and Charlotte Butler called 'Hindustan Lever Limited: Levers for Change'. The case documents Nirma's rise and Hindustan Lever's belated response to the challenge and the development of Wheel and a completely new distribution system for it. 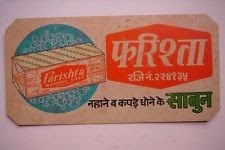 In discussing Nirma's marketing campaigns in the 1970s and 80s, the authors make an intriguing, off-hand statement...."It was widely rumored that Karsanbhai Patel had hired a leading marketing consultant to design his campaigns." from Butler, C., and S. Ghoshal. "Hindustan Lever Limited: Levers for Change. "Insead Case 302–199 1 (2002). I wondered who this 'leading marketing consultant' was and whether it could have been LRB. After all, LRB was widely acknowledged as the leading marketing consultant in the country in this period. Nirma was based in Ahmedabad as was LRB. They were operating in the detergents market, a market that LRB was very familiar with, having managed Surf at Hindustan Lever before. It seemed a reasonable hypothesis. Then, in 2008, an IIMA batch-mate of LRB told us an incredible story. He told us that that he believed that LRB had an important hand behind success of Nirma. According to him, the story goes as follows. In 1970 LRB was heading the market research group at Hindustan Lever. His group's research showed a large, untapped market for a detergent with a lower price point. However, Hindustan Lever's top management decided at the time to not pursue this opportunity. After LRB left Hindustan Lever to join IIM-Ahmedabad in 1972, he came into contact with Karsanbhai Patel, who had started Nirma in 1969 and was trying to capture this untapped market. According to his friend, LRB advised Karsanbhai on his marketing strategy and campaigns, and played a crucial hand in Nirma's success. If this account is true, it reveals an important, and largely unknown aspect of LRB's life. However, there were reasons to be skeptical. Some of the other stories this friend told us turned out to be untrue or apocryphal. And, there was no mention of Nirma on LRB's CV (made in 1988, months before he died) or in any of his papers. One anecdote hardly constitutes a solid basis on which to make a historical claim. So, I set out to look for independent, persuasive evidence that may corroborate or contradict this story. As there seemed to be no documentary evidence in LRB's available papers, we had to rely on the testimony of people. I first spoke to Shyam Sunder Suri, a friend and colleague of LRB. He told us that it was 'open secret' in the industry that LRB was a consultant for Nirma. This confirmed that the LRB was indeed the marketing consultant mentioned in Butler and Ghoshal's case study. He also pointed out, however, that he never heard this from LRB. "I even asked him about it, but he evaded the question." he said. According to him, as a rule, LRB never discussed any of his consulting work. As a thorough professional, client confidentiality was sacrosanct to him. So, in the end, while Mr. Suri believed that LRB must have advised Nirma, this belief was based on hearsay. Next, I spoke to Shekhar Vyas, a friend who LRB was mentoring and who he spent a lot of time with in the last couple of years of his life. He said that he did not remember any specific project with Nirma, but he did know that LRB and Karsanbhai Patel often met and that on the day LRB died, Karsanbhai Patel was at his residence at IIM-A for several hours. This suggests a close relationship but hardly counts as strong evidence of LRB's work with Nirma. Finally, I decided to approach the one living primary source - Karsanbhai Patel himself. I wrote to him telling him about the Reconstructing LRB project, and asked him directly about LRB and his work with Nirma. I received a reply that from his office saying that Mr. Patel does not recollect any instance when Late Prof. Labdhi Bhandari was associated with Nirma. I had reached a dead end. Despite a number of intriguing anecdotes and circumstantial evidence, I had failed to find any solid evidence that LRB had made any contribution to Nirma's rise. Instead, there were now two indisputable facts that seemed to challenge the hypothesis I had started with. First, if LRB was involved with Nirma's marketing campaign, why would there be no paper record of this involvement. Surely, LRB would have claimed some credit for his work? Second, why would Karsanbhai Patel and Nirma deny any such involvement? Shyam Sunder Suri suggested a possible answer to these questions. LRB had started his career as an HLL man. He had close friends there. Helping Nirma mount a major challenge to Hindustan Lever's position in the market would have made things awkward, possibly even controversial. That may have provided LRB sufficient reason to keep any association with Nirma under wraps. He also said that he was not surprised by Karsanbhai Patel's response to my query - because most of LRB's inputs to him were probably oral and informal. But, there is another side to this argument. As Butler and Ghoshal report, it was 'widely rumored' that a marketing consultant had helped design Nirma's campaign. And if, as Mr. Suri says, it was an 'open secret' that LRB was this consultant, why would HLL hire LRB as a consultant for the development of Wheel? Indeed,the evidence is clear that in 1985-86, Shunu Sen, then HLL's Marketing Director called in LRB to provide a fresh perspective for the HLL marketing team in connection with Project STING (Strategy to Inhibit Nirma's Growth) and product development for Wheel. Given the potential conflict of interest, HLL would not have brought LRB in on the project. More recently, another close friend of LRB, Hrishi Bhattacharyya, who had a long and successful career with HLL and Unilever gave us another perspective to the issue. He confirmed that there were indeed some rumors that LRB was involved in Nirma's campaigns. However, he thinks that they were based on guesswork. Some people had taken the twin facts of Nirma being based in Ahmedabad, and LRB's familiarity with the detergent market to jump to the conclusion that LRB must have designed Nirma's campaign. And while LRB was under no obligation to do so, he believed that a person of LRB's professional and ethical integrity would have told HLL if he had worked on Nirma's campaign before he took up any assignment on Wheel. One person who may have been able to shed more light on this mystery was HLL's Marketing Director at the time, the celebrated Shunu Sen, a good friend of LRB. Shunu Sen was interviewed by Butler and Ghoshal for their case study and he was the one person most familiar with the behind-the-scenes story of the HLL and Nirma detergent wars. Unfortunately. Shunu Sen passed away in 2003. In the end, Ghoshal and Piramal were correct. It certainly seems that it was widely rumored in the industry that LRB was behind Nirma's campaign. But, 35 years later, it has not been possible to find any solid evidence to provide substance to these rumors. Pending new sources or new information, it would be reasonable to tentatively conclude that LRB was likely not involved with Nirma. But, as it is with much history, no firm answers can be given. As Shyam Sunder Suri told me, this will likely remain an unsolved mystery. What can I write about such a stalwart, I have not even seen him but I always consider him as my inspirational guru and role model. He is my Dronacharya and I am like Eklavya perhaps if he had leved his full life till retirement in IIM Ahmadabad it would have been world's No 1 management school.